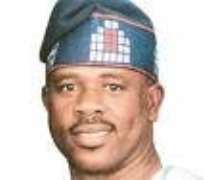 Ambassador Obanikoro has refuted an allegation purported made by Ministers of Defence, Education and Information in the Yardua's Government. According to him he was angered by those allegations he later found to be false. He said Ghana, Nigeria relations date back to pre-Colonial era with their citizens making the two countries their preferred destination for myriad reasons bordering on socio-economic connections. Ambassador Obanikor said his visit was also to deepened relationship between the two countries. He noted that the two countries are binded spiritually and physically stressing that Ghana and Nigeria for the first time in history, handed over power from one civilian government to another civilian. He therefore called on the media to cross check stories before publishing them. He also commented on the role the two nations played to bring lasting peace to Liberia by contributing troops. Ambassador Obanikoro said there are serious problems that need to be solved like of baracades that prevent free flow of goods, expand the trade relationship and open market to Ghana. The Greater Accra Regional Minister, Nii Armah Ashietey in his submission, said most Nautical soldiers were trained at the Military and the National College and also the ancestral links between the two countries will not undermine the relationship between the two countries. He said those falsehood were peddled after Obama's visit to the country. Mr. Ashietey emphasized that a programme is being put in place to remove the Agbogbloshie slump to pave way for development.